I've been really enjoying the What Should I Read Next podcast. It's a must for book lovers. If you are looking for your next summer read, listening to this podcast is definitely for you. Anne Bogel does some literary matchmaking on her podcast. She just doesn't pick her favorite books, but instead matches up titles to her guest's preferences and literary tastes. So fun! Also, in the car we've been listening to N. D. Wilson's 100 Cupboards and we are enjoying it too. It just got spooky! I have a confession to make. I've fallen for a Hallmark series. 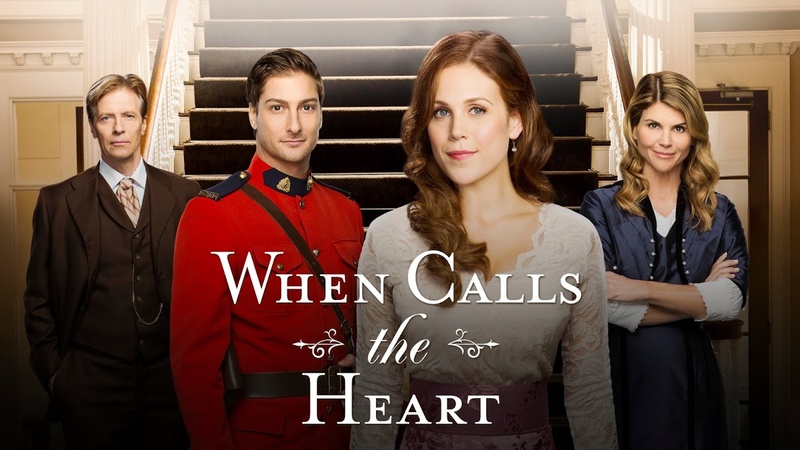 Despite the fact that in the past I've made fun of Hallmark's sappy, predictable, and cheesy shows, I'm actually quite taken with When Calls the Heart. It reminds me of Christie meets Dr. Quinn: Medicine Woman. It's about a city girl who goes to coal mining country to teach at a local school. That part reminds me of Christie. But the interactions between the towns people definitely reminds me of Dr. Quinn. It's an old-fashioned feel-good type of show that I'm okay with my kids watching with me. Despite the sometimes cheesy lines and oh-so-not period hairstyles I really love this show! I'm also excited Endeavor is back on Masterpiece Mystery! It's a classically good British murder mystery series. "But there was no hiding from Conscience. Not in new homes and new cars. In travel. In meditation or frantic activity. In children,in good works.On tiptoes or bended knee. In a big career. Or a small cabin. It would find you. The past always did. Which is why, Gamache knew, it was vital to be aware of actions in the present. Because the present became the past, and the past grew. And got up, and followed you." If you want come follow me on Goodreads. I now consistently post everything I'm reading on that site. Drop a link to your account in the comments too so I can follow you! It's blueberry season! I just made this delicious Blueberry Feta Salad and it was a nice twist to what I usually make. I'm also looking forward to trying out this Antipasto Tortellini Salad this weekend!